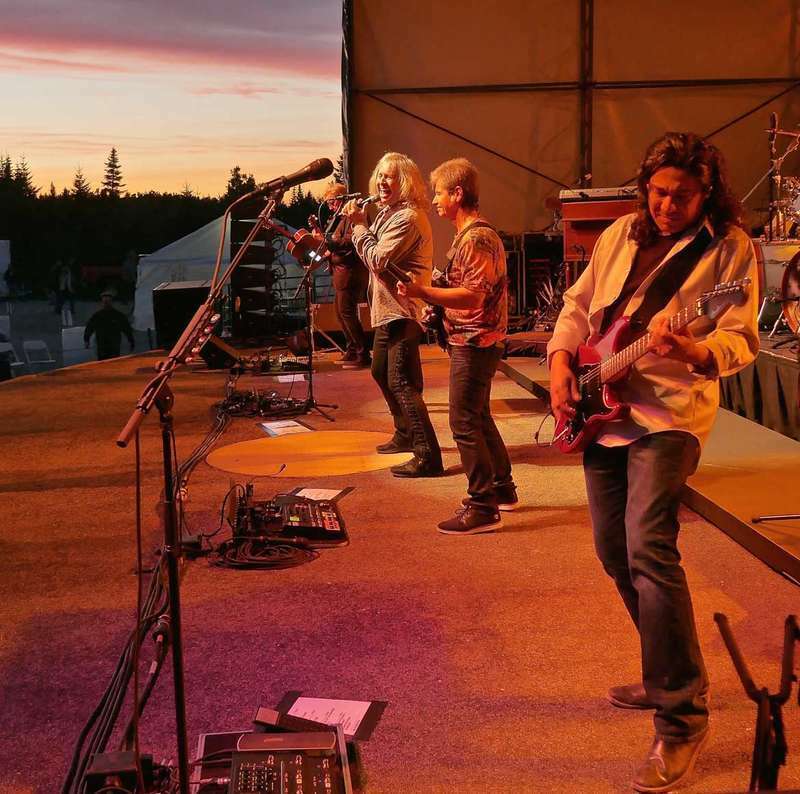 Legendary rock band Kansas performed last weekend at the Balsam Valley Amphitheatre in Cherryfield. 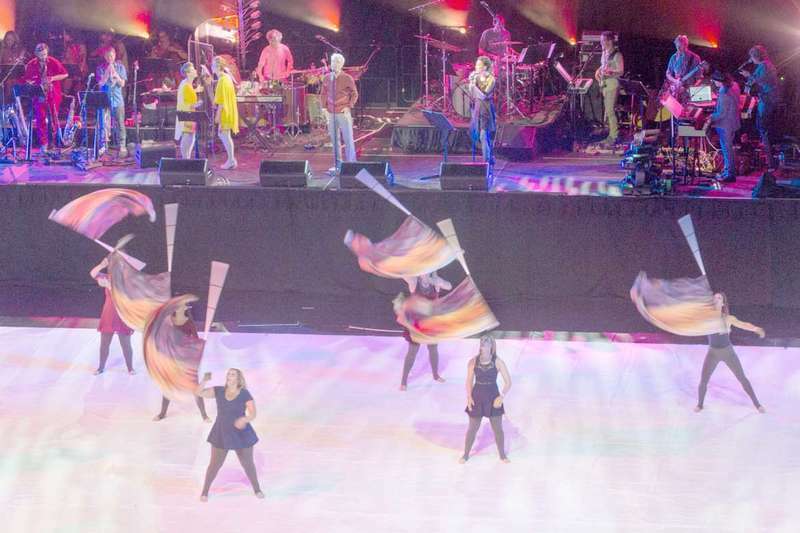 The concert capped off a weekend of patriotic events sponsored by Wreaths Across America. Photo by Bill Kitchen. Eastport native Robert Ashby of Brunswick set a Washington County record for most wins at any one road race as he won the 47th Annual Charles E. Davis Memorial Perry to Eastport 7-mile road race for the twelfth time, breaking Cindy Hatch’s record of 11 wins at the Cutler Harbor 5k. Three days later, Hatch would equal Ashby’s 12 wins as she won the Cutler event for the twelfth time. The team of Peter Berry, Gary Derickson, Lynn Bjornson, and Paul Rudd were winners this past week at the Barren View Golf Course weekly senior scramble held on Wednesday mornings. Congratulations winners! Emma Redimarker leads a break in summer high school league action at UMM. Penetration inside by Lady Knight guard Lanie Perry. With two defenders on her, Kaci Alley makes a nice dish pass to a teammate. 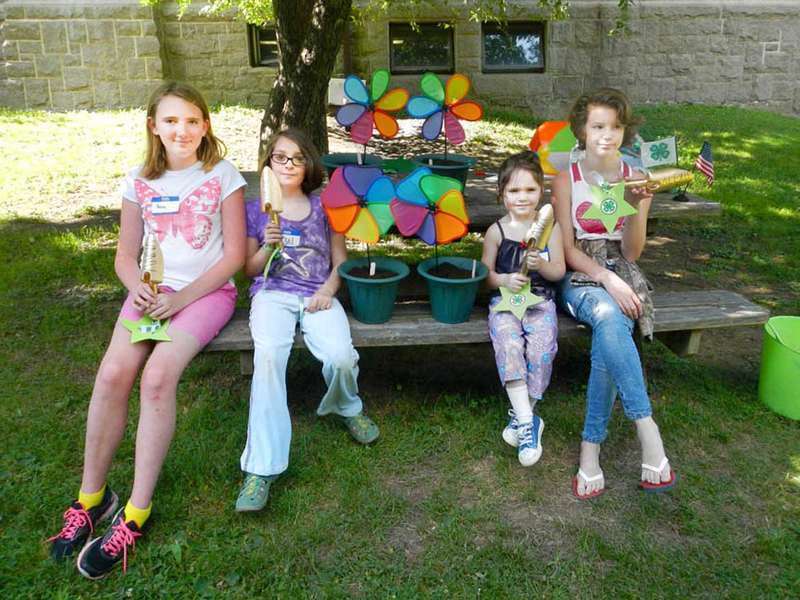 The Eastport Arts Center’s Summer Workshop Series, which runs through August 22, will feature a double-header of offerings on Tuesday, Aug. 8. 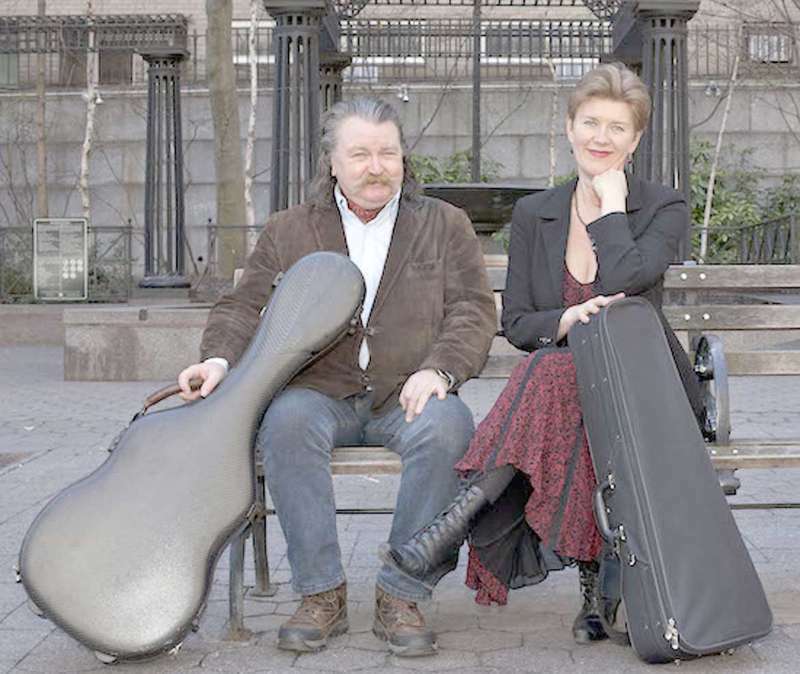 Patricia and Noel Brennan, professional musicians from Brooklyn, NY, will take turns leading musical workshops, with Music from Mexico for Children first from 1-2 p.m. 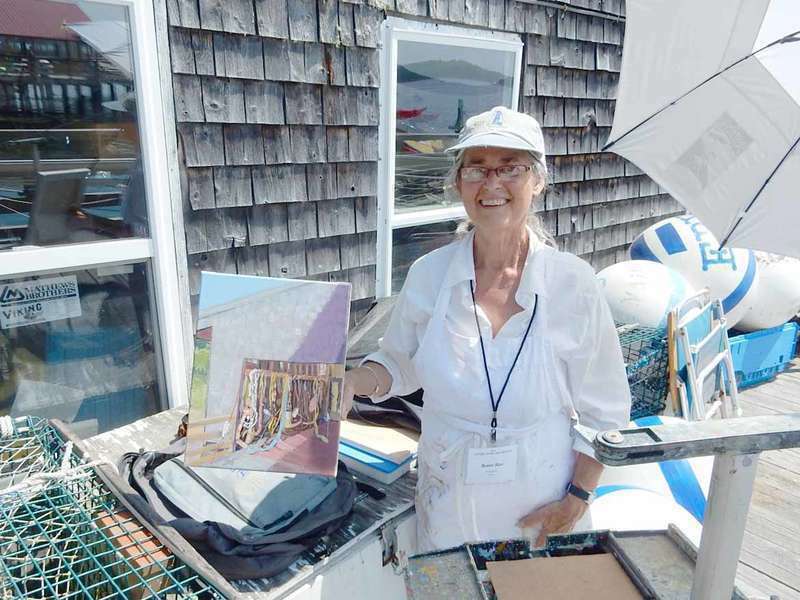 Producing “The Way Downeast Calendar” is a year round pursuit. New locations are needed to showcase Downeast Maine in all seasons. It also means making tough choices when selecting only 12 photos from thousands, in order to depict the months of the year. 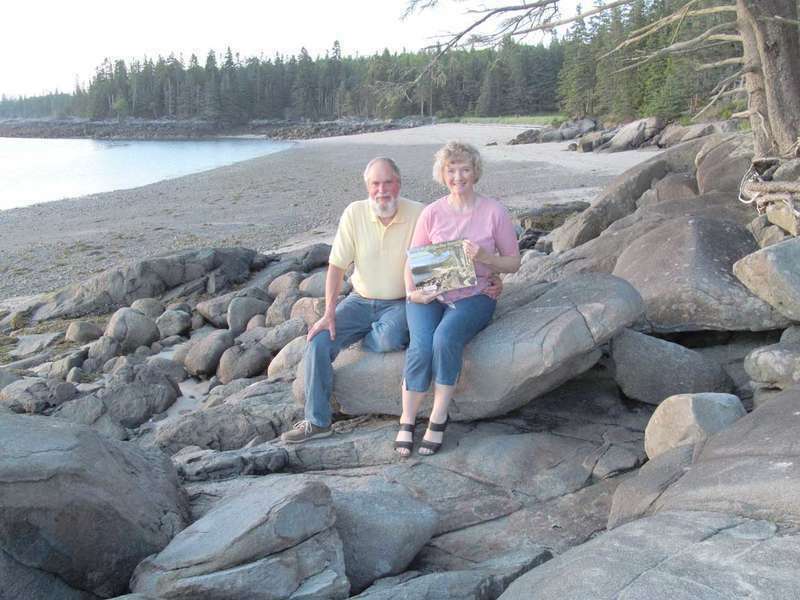 But the couple who produce this calendar, Brenda and Alan Jepson of South Addison, had no difficulty selecting a photo of a beach in South Addison for the month of August in their newest calendar. 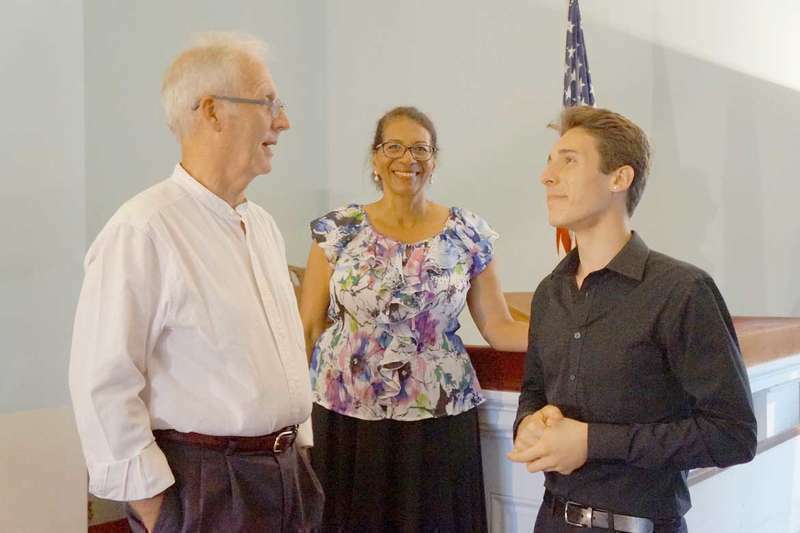 On Tuesday, August 8 at 7 p.m. the Machias Bay Chamber Concerts (MBCC) will present a concert featuring classical bass trombonist Dan Barrett and pianist Laura Artesani, both members of the Music Faculty at the University of Maine in Orono (UMO). Their program will include compositions by Egberto Gismonti, Daniel Schnyder, and additional works by contemporary composers. 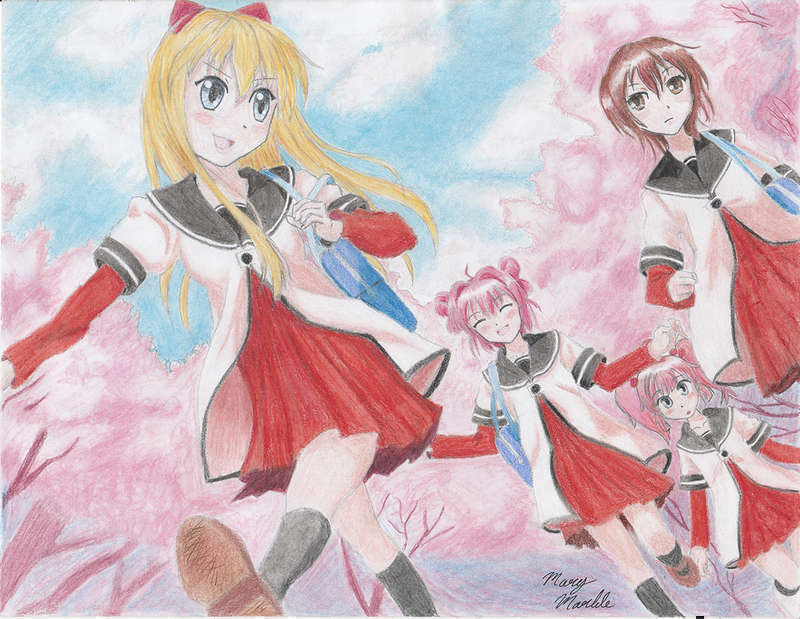 Axiom Education & Training Center in Machias will offer two Anime Drawing Classes with Mary Marble beginning Saturday, August 5 and running through September 2, with a beginners’ class in the morning from 11 a.m. - 12:30 p.m. and an advanced afternoon class from 1:30-3 p.m. 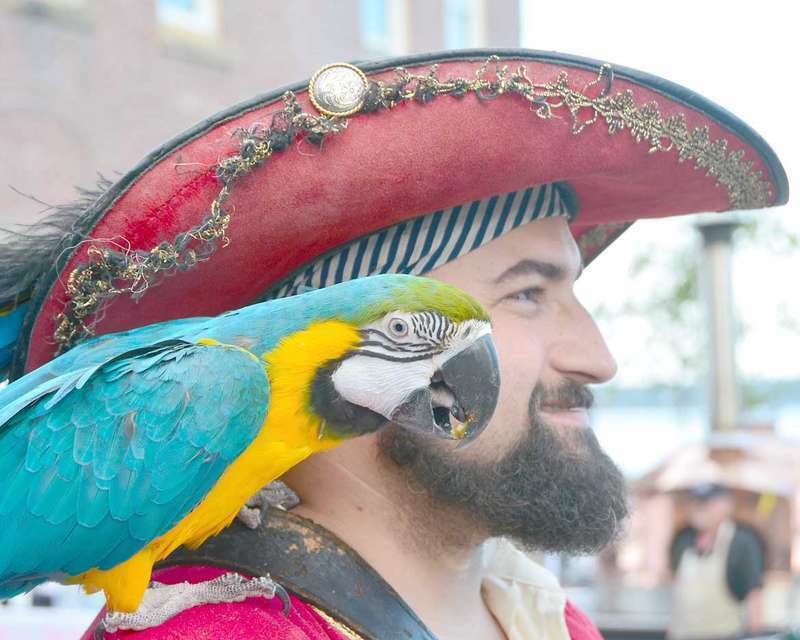 The Eastport Pirate Festival committee has announced that the easternmost city in the USA will once again host the largest Pirate Festival in Northern New England and Atlantic Canada. Starting the Friday after Labor Day and continuing through Sunday, your favorite pirate characters will once again descend on Eastport for a weekend of swashbuckling fun. 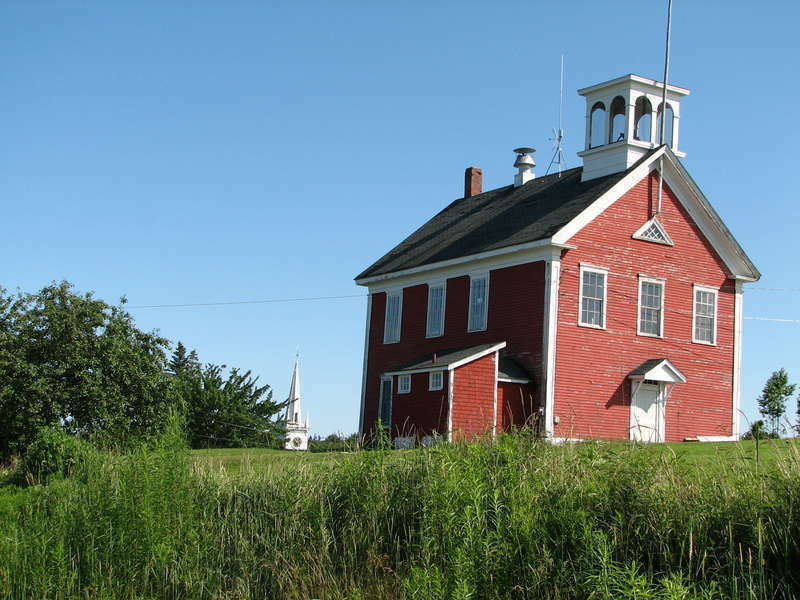 Public Pot Luck Supper 5 p.m. Aug. 5, Elm Street School, East Machias. 50/50 raffle to benefit the Jacksonville Cemetery Association New Fence Project. If you would like to make a donation or cook a dish please contact Nate Pennell 254-8230 or Anne Pennell at 255-8496. The Quoddy Baseball League in Washington County is just a memory. now but years ago it was a major part of many Downeasters’ lives. Men’s baseball hasn’t been very active Downeast for over three decades, and it is doubtful that it will ever return due to the lack of interest at the high school level. In the 1950s, the Quoddy League might have been at it’s best. For most of that decade the three most dominant teams were the Jonesport Jets, the Eastport Lobsters and the Dixie Eagles. 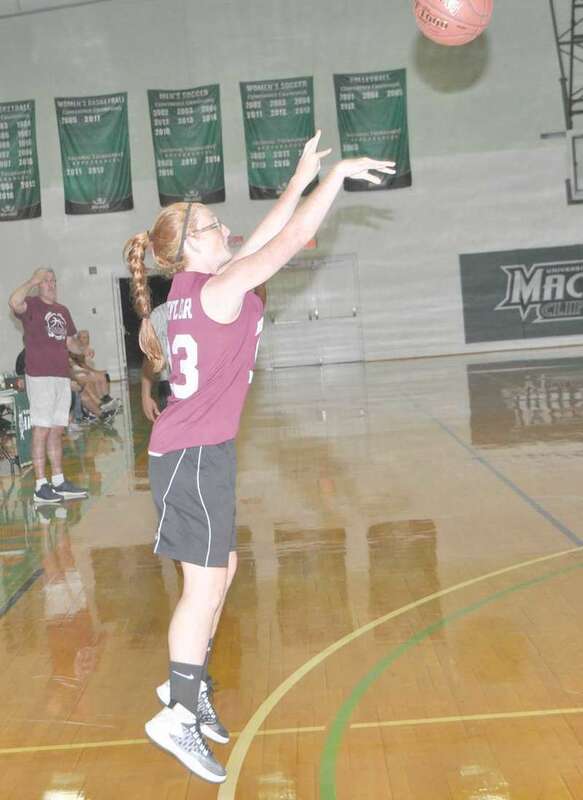 The University of Maine at Machias (UMM) High School girls and boys summer basketball league is winding down and the Calais girls are undefeated at 5-0. The rest of the field includes Woodland 3-2, Shead 4-3, Jonesport-Beals 2-5, Sumner 7-5 and East Grand 0-7. On July 5, girls’ varsity action saw Woodland defeat Jonesport-Beals 34-18. Calais crushed Sumner 59-21 and Narraguagus get by Shead 48-34. As former Maine deer biologist Gerry Lavigne reported recently in the SAM News, there has been a flurry of media coverage purporting that Maine’s Eastern coyote is getting larger and taking on more wolf-like characteristics. On TV, Bill Green’s Outdoors featured a segment and the Portland Press Herald carried a story by Diedre Fleming. Is it true? Is our coyote, which started showing up in the 1940s, evolving into a new canid, one that is worthy of the new, catchy name, Coywolf? Barbara Colbeth Huntley, age 88, went to be with her Lord and Savior and her heavenly family on July 25, 2017. She was born April 4, 1929, at home in Bucks Harbor, daughter of the late Leland C. Colbeth and Jeanette (Hooper) Colbeth. She was a graduate of Washington Academy and was very proud that she attained the distinction of being Valedictorian of her class. 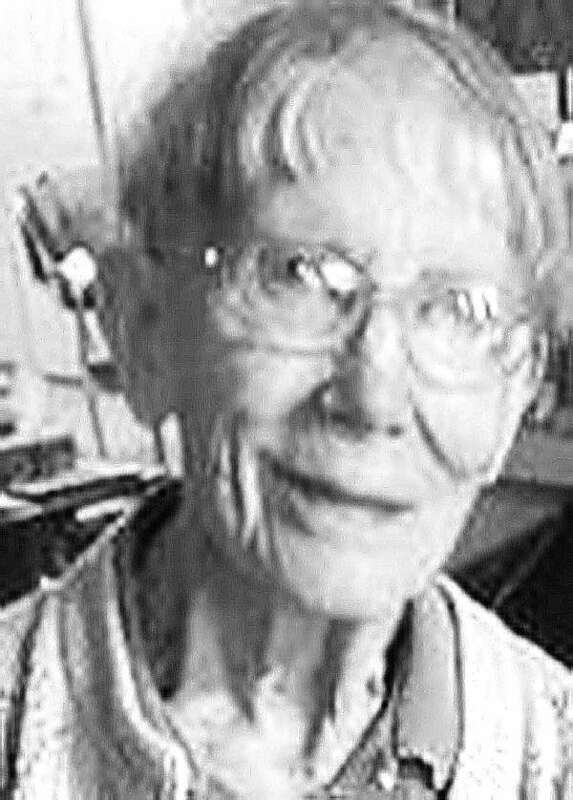 After graduation, she moved for a short period of time to Portland to work and then moved back home where she rekindled a friendship with the man who became her loving husband (Richard Clark Huntley) of 57 years. 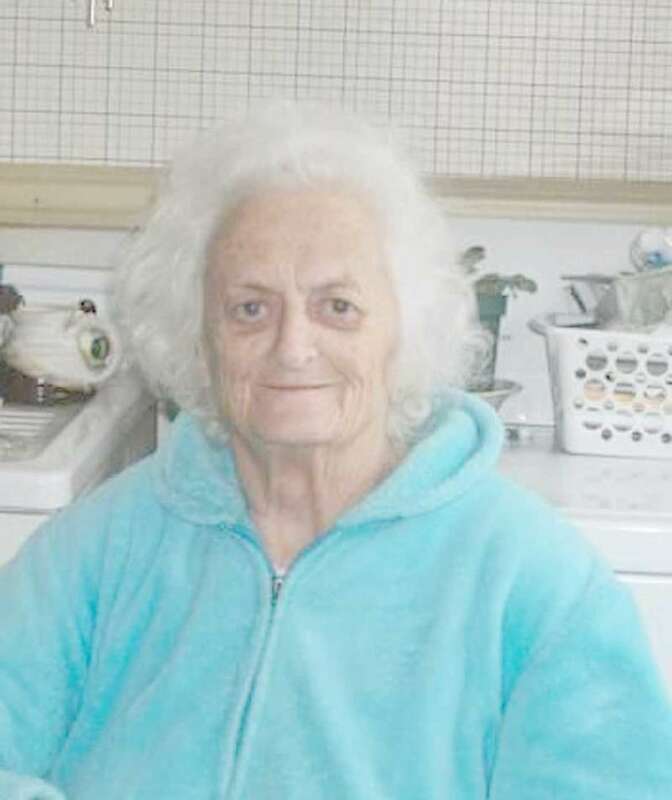 Wyles, Frances Agnes, age 90 of Digby, Nova Scotia passed away July 6, 2017 in Digby General Hospital. 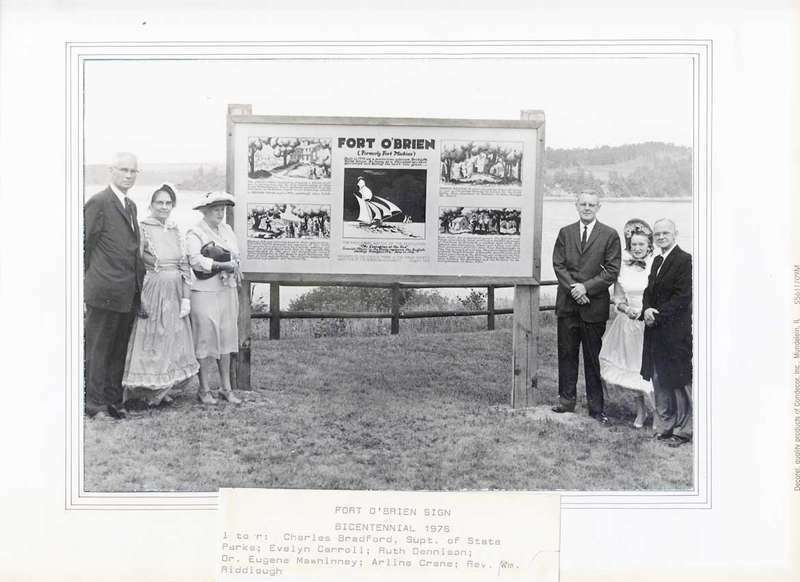 She was born in Lubec Maine, the youngest daughter of the late Howard and Theresa (Sullivan) Gardner. Frances attended the Halls Mills School and Washington Academy. She graduated from a High School in Connecticut as her parents went there to work for the war effort. She also graduated from Beauty school in Bangor. 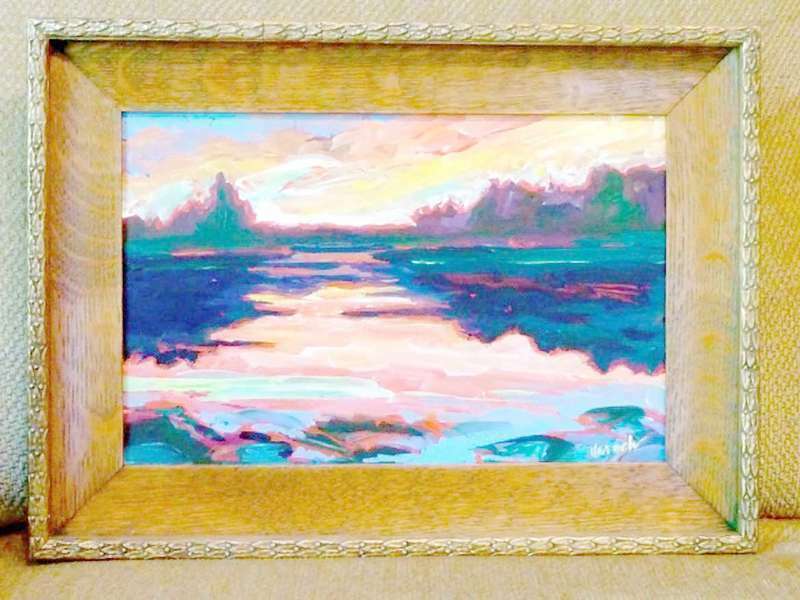 The plein air landscapes of Maine artist Robin Rier will be featured at the Lubec Landmarks Mulholland Market Gallery from August 16-29. The opening reception, free and open to all, will be Saturday, August 19 from 5-7p.m. The Gallery is located on Water Street in Lubec. Linda Yaroch will be the August featured artist at the Henry D. Moore Library in Steuben. Yaroch was born in Chicago and started oil painting at the age of 12 in a small town in Southern New Jersey. She graduated from Hussian School of Art in Philadelphia. In 1976, she illustrated a book for the National Bicentennial Celebration in the city of Philadelphia. She also designed and constructed holiday interiors for the Rouse Corp. malls in New Jersey and Pennsylvania, illustrated children’s school textbooks, and worked with seniors in an art program. See “Contemporary Color,” a documentary concert film combining high school color guards and today’s hottest musicians at The Grand in Ellsworth on Tuesday, Aug. 8 at 7:30 p.m. “Contemporary Color” is the next film in the CineGrand series of great recent movies, many of them unseen on any screen in the area. 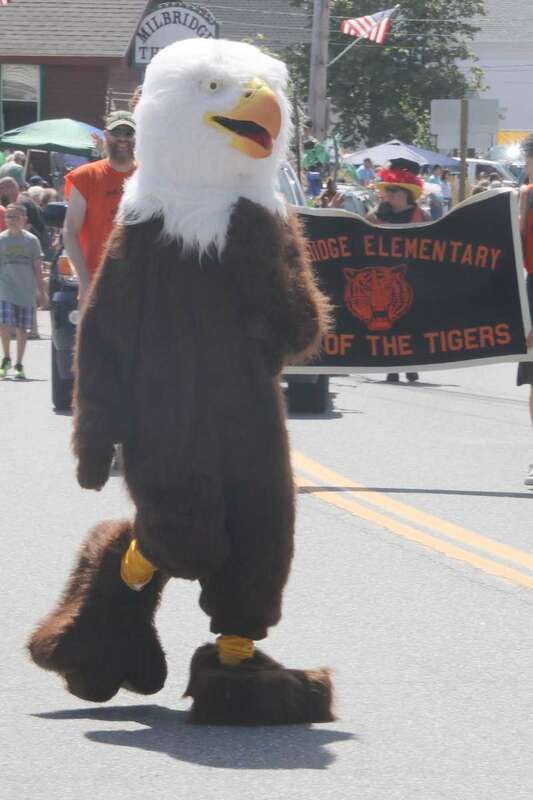 The 4th Annual Dale C. Lincoln Kids One-Mile Fun Run held on July 3 in Eastport drew a record number of participants this year. Sixty-two young runners finished the Lincoln One-Miler named in honor of Dale C. Lincoln of Perry, an early pioneer in Washington county running who also is in the Maine Running Hall of Fame. Andrew Burke of Pembroke covered the course in 6:08 with Tabor Helton and Lulu Calame finishing second and 3rd in 6:19 and 6:58. The Chandler brothers of Jonesport won the annual Daughters of the Nile Golf Tourney at Barren View Country Club in Jonesboro on July 9, with a score of -11. Orrin, Hedge and Roger, a trio of brothers, plus Jason Mawson, posted a one stroke victory over Elmer Wilcox, Duanne Smith, Scott Wilcox and Ralph Backman. Third place went to Hawaiian vacation winner Nate Mugford, Zach Fenton, Josh Bassett and Jason Hixon with a -9. The 2017 Northern Maine Class D Boys Most Valuable Player, James Mersereau of Machias, is slated to take his talents 200 miles north to the St. John Valley this fall and play for Tom Bid’s University of Maine at Fort Kent Bengals. Mersereau, a talented and versatile athlete, is very athletic and very creative around the basket. He has tremendous jumping ability and his slam dunks brought the crowd to their feet on more than one occasion. Editor’s note: This article is the first in our series, Primer for the Primary, which will run periodically as candidates present themselves for Maine’s 2018 gubernatorial, congressional, Senate and state legislative elections. The series will showcase interviews with each candidate, and focus on their key campaign messages. Simply put, disagreements over spending priorities for the state’s two-year budget, which needed to be signed by July 1, 2017—the beginning of the state’s fiscal year—is what led to the shutdown. This week marks the beginning of a new series we are calling “Primer for the Primary.” Although Maine’s primary elections are nearly one year away, candidates are already announcing their intentions, and traveling across the state campaigning. November 2018 will present us with a lengthy ballot, as terms are ending for our governor, one senator, the 2nd congressional district representative, and many local politicians. Though most are running for reelection, the governor’s term will come to an end. We can expect to see a wide array of candidates for that position. Expressions Gallery & Studio, located at 11 Main Street in Machias will host a reception at 5 p.m. on Friday, August 11. The reception will honor three local artists: Kathleen Hart, Erik Ostensjo and Joanne Halpin. Food and drink will be provided and the reception will have live music by Duane Ingalls. This will be an opportunity to meet the artists, learn what has inspired their art, and what techniques they are using. Town clerk Donna-Jean Metta was fired from her position during a special meeting of the Machiasport Selectboard last Monday, July 24. Last Saturday morning the town of Machiasport celebrated the return of a Civil War cannon with speeches, song, and cake. The cannon was returned to the Fort O’Brien historic site earlier in 2017. The 1862 bronze “Napoleon” cannon, so named for its widespread use during the Napoleonic wars, may or may not be original to the civil war-era Fort Machias, but according to the Machiasport Historical Society, was on site by the time of World War II. 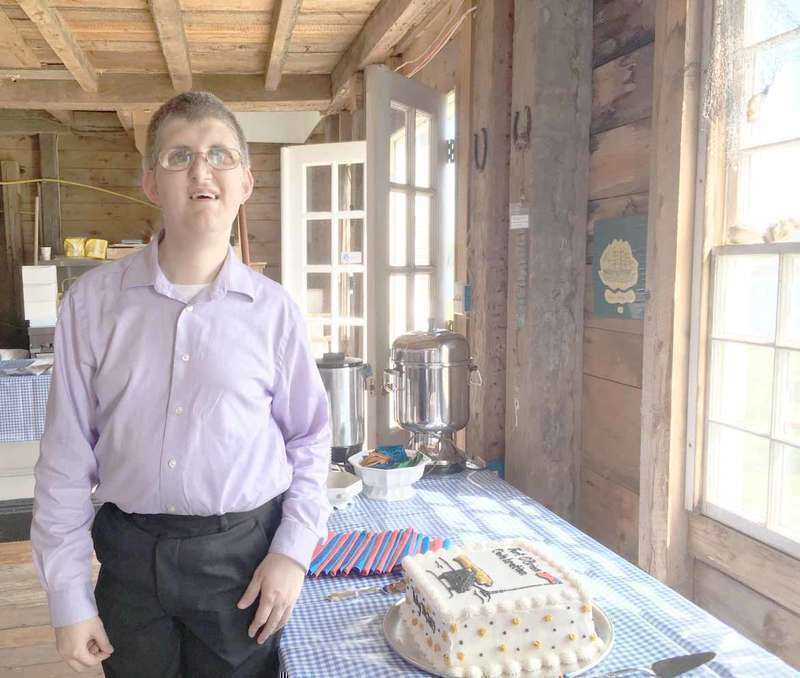 Local sea chantey expert Stephen Sanfilippo sang this historic ballad during last weekend’s celebration of the return of Machiasport’s Civil War cannon to Fort O’Brien last weekend. Sanfilippo resides in Pembroke. The ballad recounts the events of the Battle of the Rim, also known as the Siege of Machias, which took place August 13 and 14, 1777. 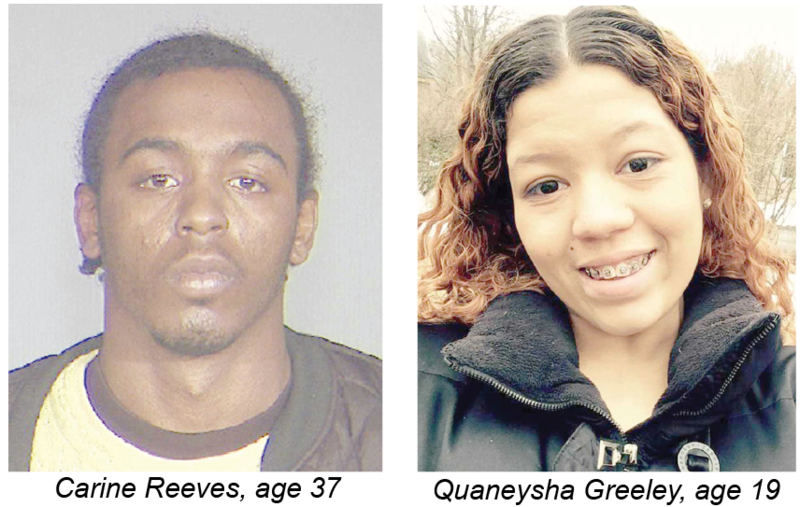 State Police have confirmed that a man and woman from New York City were arrested in New York and charged in connection with the homicide discovered in Cherryfield last month. Being held on fugitive-from-justice charges are 37-year-old Carine Reeves and 19-year-old Quaneysha Greeley. The two were arrested by New York City Police on 141st Street in the Laurelton section of Queens. They are being held without bail. Collaboration, long seen as a successful undertaking Downeast, will soon enter a new arena with Project HOPE, a law enforcement initiative aimed at tackling drug abuse. 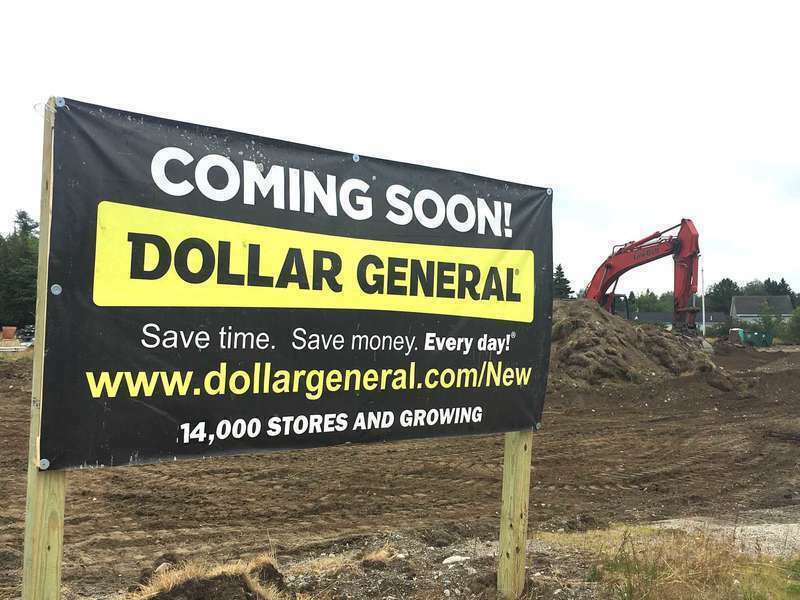 Dollar General broke ground on its new Machias location last week. The store will be located on the corner of the Kennebec Road and Rte. 1, across from Tom’s Mini Mart, with an address of 206 Dublin Street, Machias. Laura Somerville works as a spokesperson for the Tennessee-based chain. She said that the store plans to open its doors in late fall, but added that construction timelines could slip. New England, that uniquely independent region of the USA, albeit frosty and rocky, can claim many firsts in the scheme of memorable events. Congressional candidate Jonathan Fulford released the following statement after last week’s Senate vote against repealing the Affordable Care Act without a replacement. As the nation speculates whether or not Special Counsel Robert Mueller will be fired, activists across the country are gearing up for a nationwide response. Maine is no different. Local organizers are already making contingency plans for protests in Machias and Eastport. Everyone participating in these events will be required to abide by all applicable laws and lawful orders of authorities. This event will be nonviolent and will not involve any civil disobedience or other violation of law. Sawyer Memorial Congregational Church in Jonesport will be hosting its Annual Lobster Dinner on Saturday, Aug. 5 from 4 - 7 p.m. The menu will include a single lobster for $15 or double for $20, corn on the cob, cole slaw, a yeast roll and blueberry shortcake for dessert. All proceeds to benefit the steeple restoration fund. Hot dog dinners available for land lubbers, and mussels also available. The church is located at 28 Sawyer Square, Jonesport. Phil Alley died at the age of 88 nearly 15 years ago, but those who knew him still speak of what a “good guy” he was. 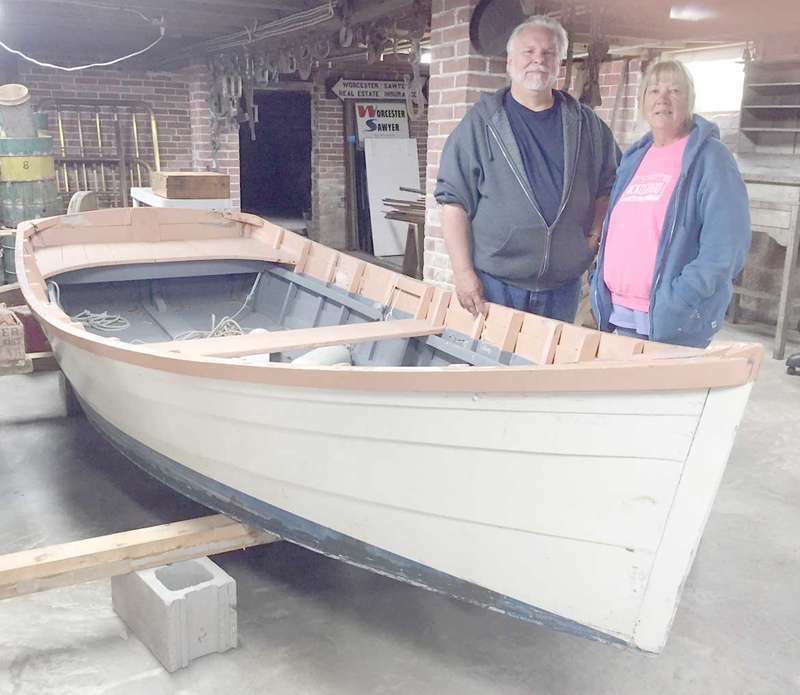 At the end of his life, he was known for the model boats that came out of his Jonesport workshop, but today a full-size vessel will be preserved, thanks to the generosity of two summer residents and the facilities at the Jonesport Historical Society. On July 23 Carroll and I took a ride out and about the area. I wanted to check out a couple of grave stones and see if I could get them cleaned up with the D 2 liquid that I got in the mail. I was able to do nine stones in the Columbia Cemetery before lunch. One stone I had a lot of moss on it, but was able to get it off quite easy with this stuff. Hopefully I will be able to do a few more before August is gone by. This summer’s exhibition at the Academy /Vestry Museum, “Audubon: Down East to Labrador,” continues to welcome visitors on Saturday afternoons, from 1 to 4 p.m., and at other times by prior arrangement with Dennys River Historical Society. Call 726-3905 or email drhs@myfairpoint.net for a tour of this visually rich presentation of John James Audubon’s famous 1833 birding trip to Labrador, when he was accompanied by several young men from the Eastport, Dennysville and Lubec area. Linda and Ron’s garden is producing nicely. The cabbages are huge. Karen and Ruthie and family have been enjoying the greens and Linda has been enjoying green beans and potatoes. 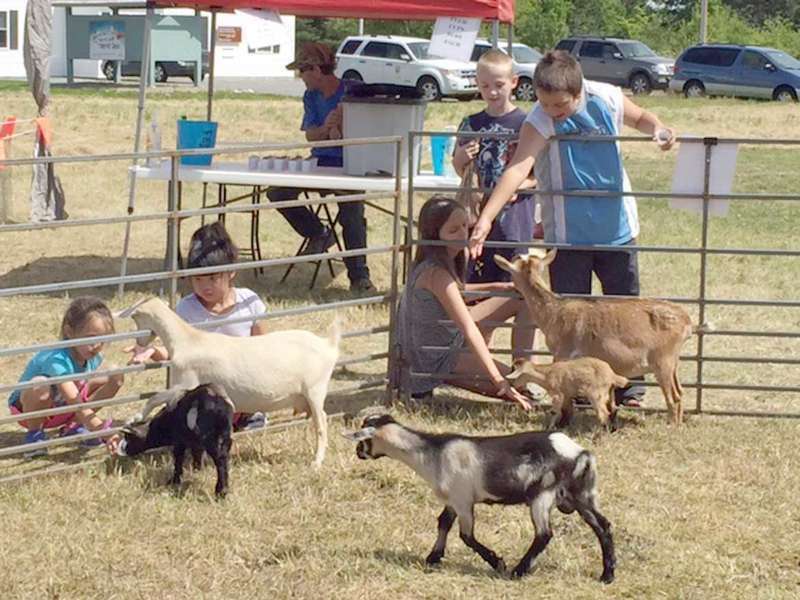 Linda has also been making all kinds of her goat milk lotions and soaps this week getting ready for Grand Lake Stream Festival this past weekend in July. I hope to spend at least Saturday with her there selling. Linda is a people person and a great friend. U.S. Senator Angus King (I-Maine) announced his support for the Jobs for Our Heroes Act of 2017, bipartisan legislation that would exempt qualified active-duty military members and reservists from certain requirements to obtain a state commercial driver’s license (CDL) if they have the proper military experience. Education (K-8) from Western Governors University (WGU). Convention Center in Salt Lake City on July 15 and celebrated the graduation of more than 10,000 graduates. Robish said that she student taught at the Rose M. Gaffney School in Machias, and plans to teach 4th grade at the Beatrice Rafferty School in Perry thi s year. The Good Shepherd Food Bank of Maine Food Mobile is free for anyone in need of food assistance. 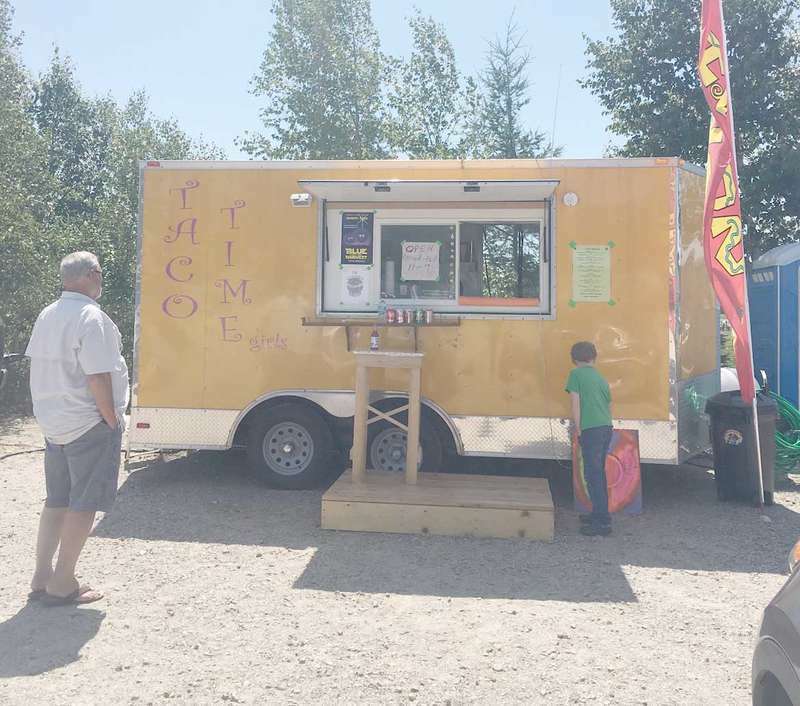 It will be parked in Machias on Wednesday, Aug. 2, from 10:30 a.m. to noon, in the Pellon Center parking lot on Route 1 next to the Machias Bay Chamber of Commerce’s Station 1898. Using public Wi-Fi puts you at risk of sharing personal information with criminals. If you’re on free public Wi-Fi at the gym, a hotel or a coffee shop, anyone else on that same network can tap into the information you’re transferring over the network. This means any bad guy can see what you’re doing, leaving passwords, usernames, and account numbers vulnerable. Stick to browsing the web and checking news when on public Wi-Fi. Avoid online banking, checking email, making credit card purchases or even posting on Facebook while on public Wi-Fi. The Maine Department of the Secretary of State received a second letter from Kansas Secretary of State Kris Kobach on Wednesday, July 26, requesting voter data from the States for the use of the Presidential Advisory Commission on Election Integrity at https://www.whitehouse.gov/blog/2017/07/13/presidential-advisory-commiss... . Kobach is the vice chairman of the commission, on which Maine Secretary of State Matthew Dunlap also serves. Savory beef church supper - Cherryfield Congregational Church Fellowship Hall (River Road, Cherryfield), August 9,. Dinner served at 5:30 - Doors open at 5:p.m.. The Nash-Wolfe Concert, featuring renowned Down East organist Kevin Birch from Bangor, will be presented on the David Wallace organ at the Perry Congregational Church on Sunday, August 22 at 4 p.m. Playing familiar hymns and classical pieces from the organ repertoire, Kevin is well known for his skill and ability in making fine music accessible to the public. There is no admission charge, but a free-will offering will be received to help cover the costs of this special occasion. Mozart at North Church is a full concert of music by Mozart performed by a quintet of experienced professional musicians and sponsored by the Tides Institute & Museum of Art (TIMA). The quintet will rehearse at TIMA’s 1819 North Church Project Space, 82 High Street, Eastport, throughout the week prior to the concert. 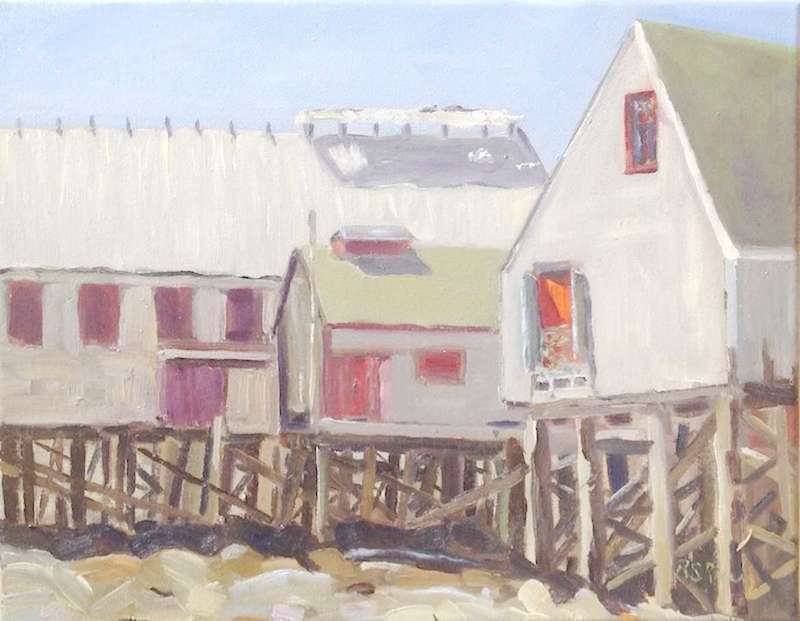 Robin Rier, plein air artist of Jonesport will be exhibiting her paintings at the Mulholland Market Gallery in Lubec, Aug. 16 - 29. Opening reception Saturday, Aug. 19, 5-7 p.m. All are invited to see beautiful paintings and enjoy beautiful downtown Lubec. Photo courtesy Robin Rier. Andon Wood gets a step on a defender at UMM. 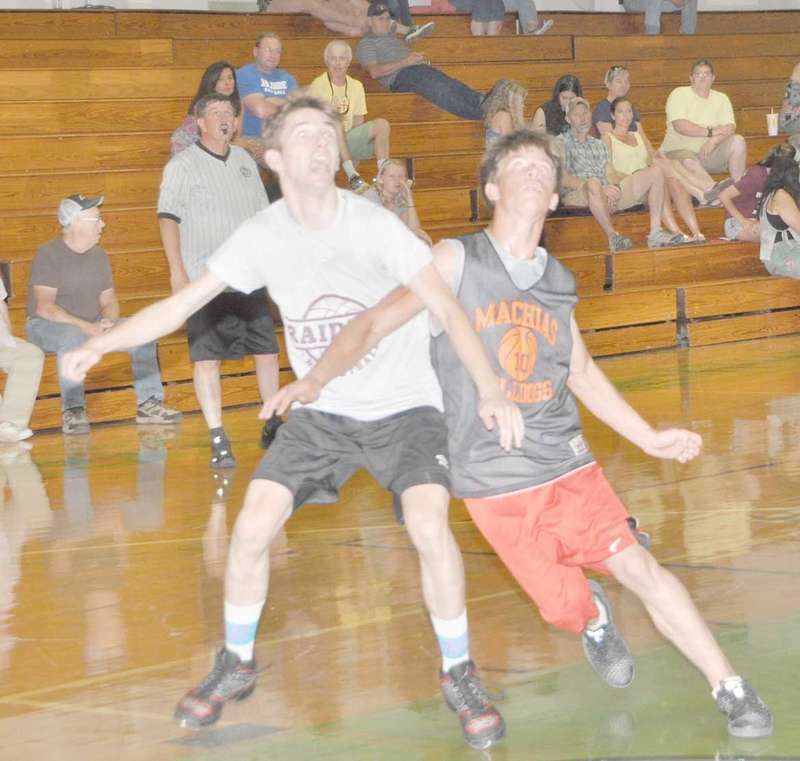 Alex Wentzell brings the fast break down the court for Machias. Machias Bulldog Tyler Wentzell positions himself for the rebound. Two of Washington County’s oldest road races will be held in the month of August. Johnson’s True Value International Road Race, a 5-miler, will be held on August 12. 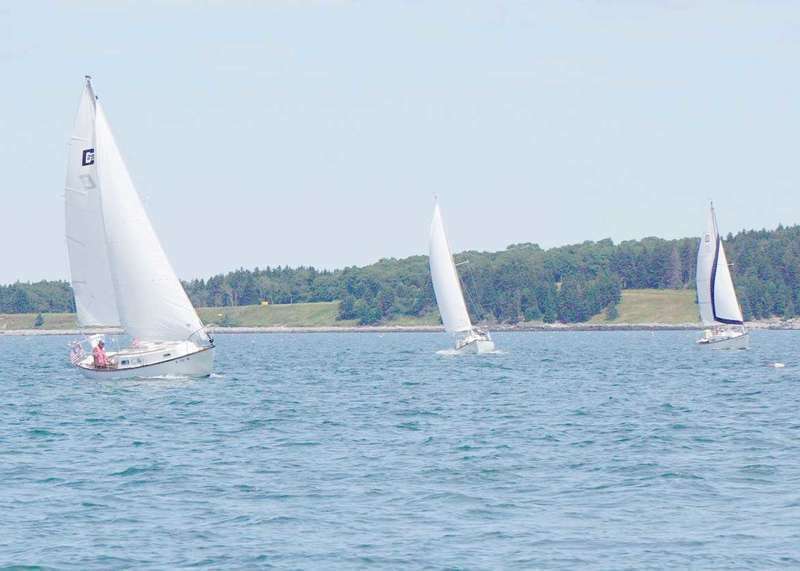 The 2017 Port and Starboard Yacht Club sailing race in Jonesport’s Chandler Bay took place July 29. There were four entries this year. Perennial winner Harry Fish in his 20-foot Atlantic Class Pisces was challenged by three Cape Dory 25s: the Irene piloted by Bernie Sund, the Mimi with Dana DeVos at the helm, and the Harmony commanded by newcomers Joe and Nancy Bell of Beals. Emily Morse of Machias was named to the dean’s list at Bates College for the fall semester ending in April 2017. This is a distinction earned by students whose cumulative grade point average is 3.71 or higher. 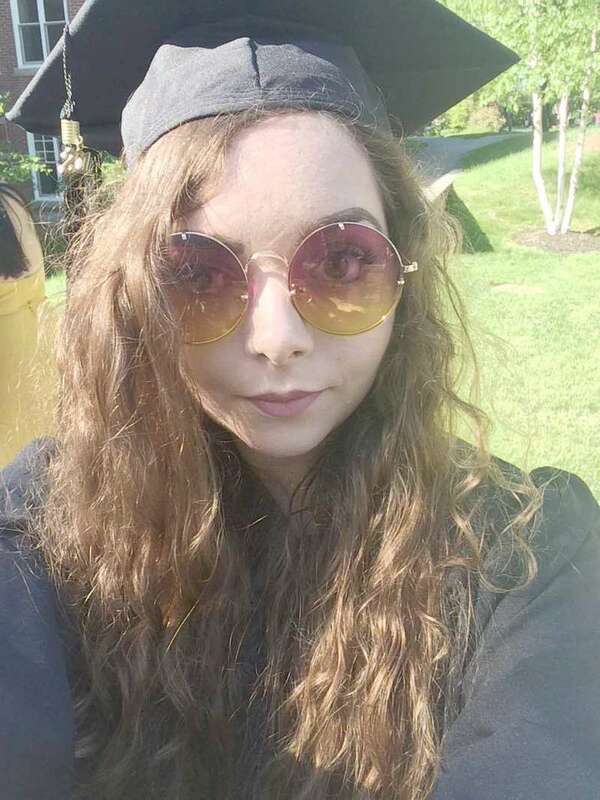 Morse, the daughter of Catherine M. Morse of Machias, Maine, is a 2013 graduate of Machias Memorial High School (MMHS). She majored in East Asian studies at Bates, which is located in Lewiston and is internationally recognized as one of the “little ivy league” schools, renowned for its liberal arts program. An exciting, new trail run is coming to the area this fall. Hosted by Downeast Coastal Conservancy (DCC), the Bad Little Trail Run will be held on October 1 and the course will weave through the Machias River Preserve. 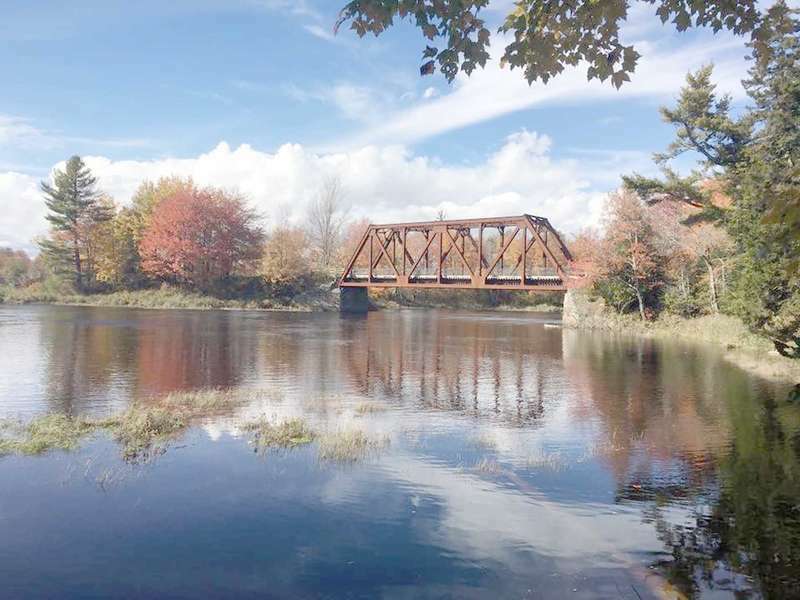 This inaugural event celebrates the organization’s 30 years of conservation in Washington county and will introduce participants from across the region to the scenic beauty of the Machias River. 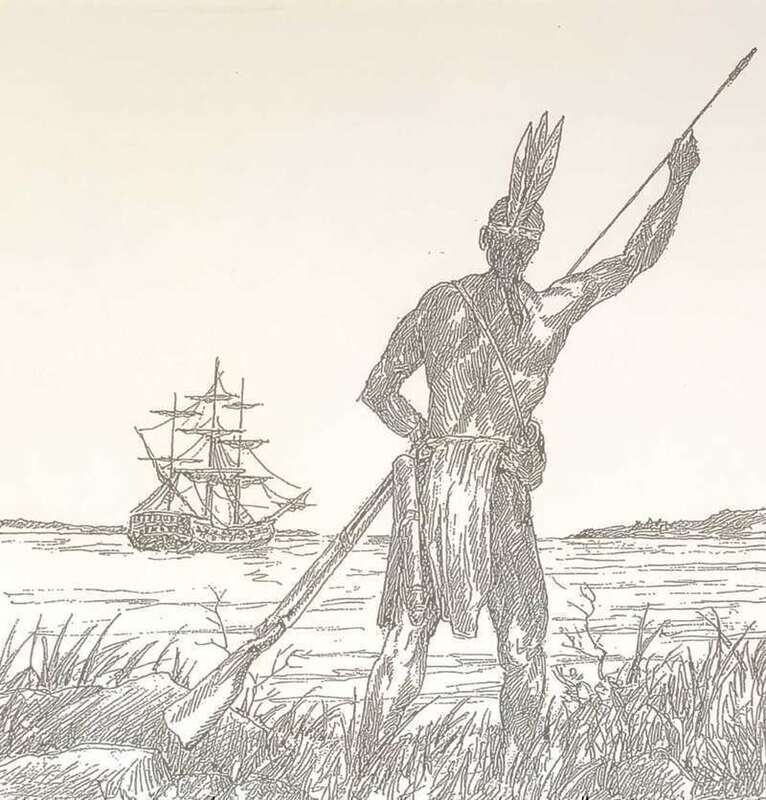 Pleasant River Historical Society is continuing its Summer Series concentrating on Native people who may have inhabited the Downeast area with Dr. Ed Jessiman, retired professor of Sociology at UMM, who will be speaking on the cultural distinctions between traditional Native cultures and those of the early Europeans’ and how both cultures changed on contact. This program will be held at Church on the Hill in Addison on Friday, August 11 at 7 p.m. All are welcome! The free program will be preceded by a brief business meeting at 6:30 p.m. Refreshments will be served. #11-2017 to Betram Merchant at Map 4, Lot 24-1 at 378 Ridge Road to erect a 10’x24’ deck and bring in a 10’x55’ storage unit (trailer), both items already in place. No concrete pour on either. CEO has inspected and approved locations. All fees ($120 plus the after-the-fact fee) have been paid. Permit issued subject to no conditions. Vote 4/0. This week I have been busy painting my deck, I have worked on it for three days straight. I still have a lot more to do before I can say it is completely done. Friday evening, Aug. 4, about thirty folks gathered to attend the performance The Wild Goose Chase dance -Measuring Time – a work evolving… at the Union Hall in Columbia Falls. Mike and Tracey Peterson are making headway on their house lot. It is going to be so nice. Jannie and Junior Caler were up to visit on Saturday. After a decade of baseball in the fifties featuring premier teams like the Dixie Eagles, Jonesboro Jets and Eastport Lobsters, it was time for other teams to share the spotlight. Dixie, Jonesboro and Eastport either disbanded or were unable to keep a roster full of quality players. After Dixie’s Eagles won for the last time in 1959, a Dennysville squad coached by Alton Bell had a two-year run. A running streak, which is believed to be a Washington County record, is officially over as of July 1. 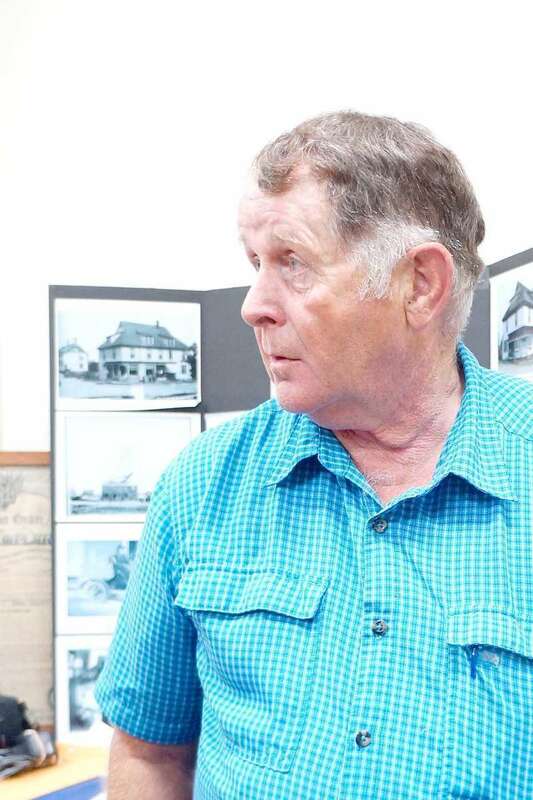 For the past 35 years Dave Alley of Kelley’s Point has held a five kilometer road race on Fourth of July weekend. For the first 34 years, Dana Urquhart of Jonesboro, known as the “Station Road Streaker” has been a part of the annual Jonesport race. This year, Urquhart’s streak ended when he failed to enter race number 35. The Machias husband and wife combination of Gary and Sue Derickson have maintained their first place grip on the earnings leader board at Barren View Golf Course Wednesday morning senior scrambles. Last year the couple took a cross country trip with their Barren View earnings and this year they should be able to reach Alaska. Make no mistake about it. When it comes to Maine’s most important wildlife game species, our whitetail deer are at the very top of the list. There are a number of reasons, not the least of which is the enormous impact that deer have on Maine’s overall economy, as well as the budget and income at the Maine Department of Inland Fisheries and Wildlife. On July 22-23 and 29-30 Ruth Moore, the founder of INTERNITY, travelled to Danbury, NH to attend a four-day, intensive Wilderness Medicine Training Module for Medical Providers. This course was offered by The Kane Schools of Wilderness and Rescue Medicine out of Fryburg, ME; and focused on Back Country Rescues, Advanced Life Support, Various Trauma Situations, Wilderness Improvisation for Medical Emergencies, Planning for Environmental Injuries, and then studying the Anatomy of Mountain Rescues and how to adapt the Federal Incident Command Structure to rescue teams. Governor Paul R. LePage signed a letter last week indicating his decision to have Maine participate in the national FirstNet project. FirstNet is an independent authority within the Department of Commerce to develop, build and operate a nationwide, broadband network dedicated for use by emergency first responders throughout the United States and participating territories. 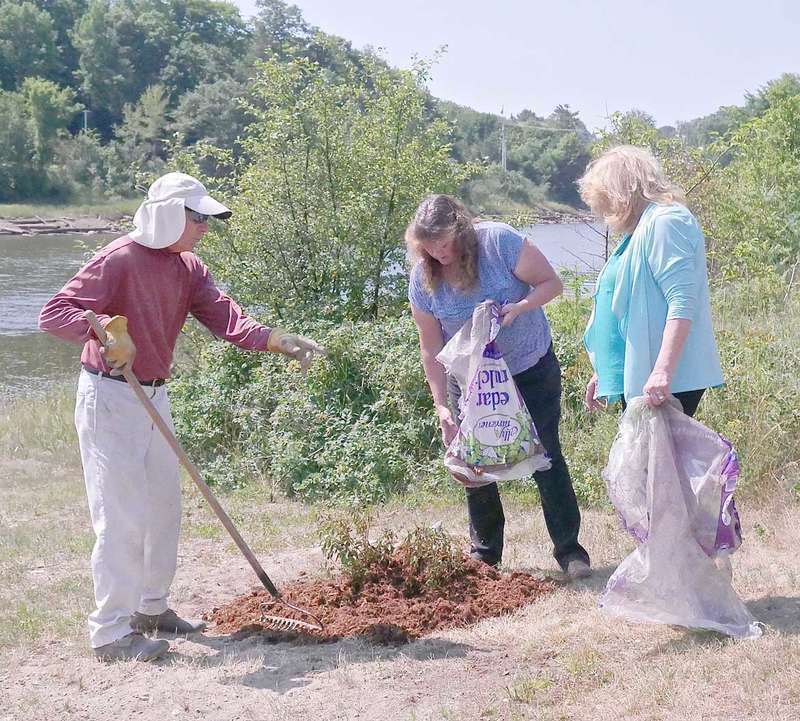 There will be a Green Space meeting held at noon on Aug. 10 at the Machias Bay Area Chamber of Commerce, Station 1898, 2 Kilton Lane, Machias. The purpose of the meeting is to determine what types of trees will be planted where next. The public is welcome and encouraged to attend. 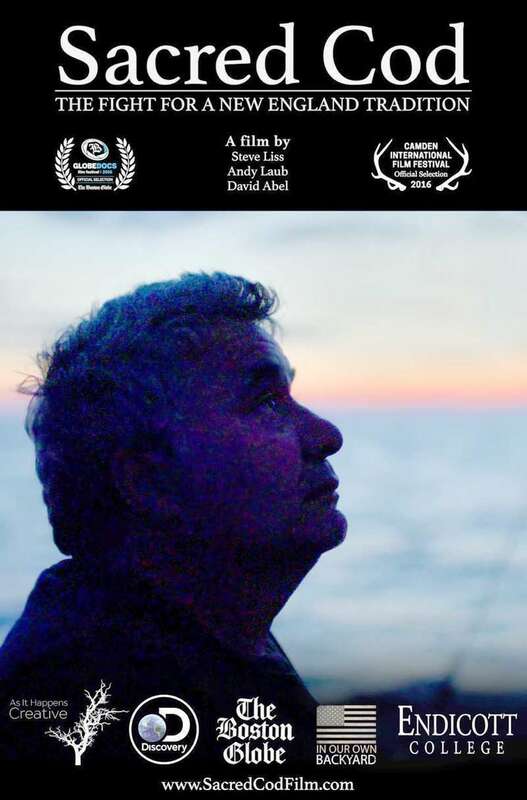 Reel Pizza Cinerama, located at 33 Kennebec Place in Bar Harbor will present a screening of Sacred Cod on Sunday, August 13 at 2 p.m.
Back again at SummerKeys, flutist Andrea Maurer, accompanied by Richard McIntyre, piano will perform on Wednesday, Aug. 16 in Lubec. Ms. Maurer has a Master’s degree in Music Performance from Rice University. 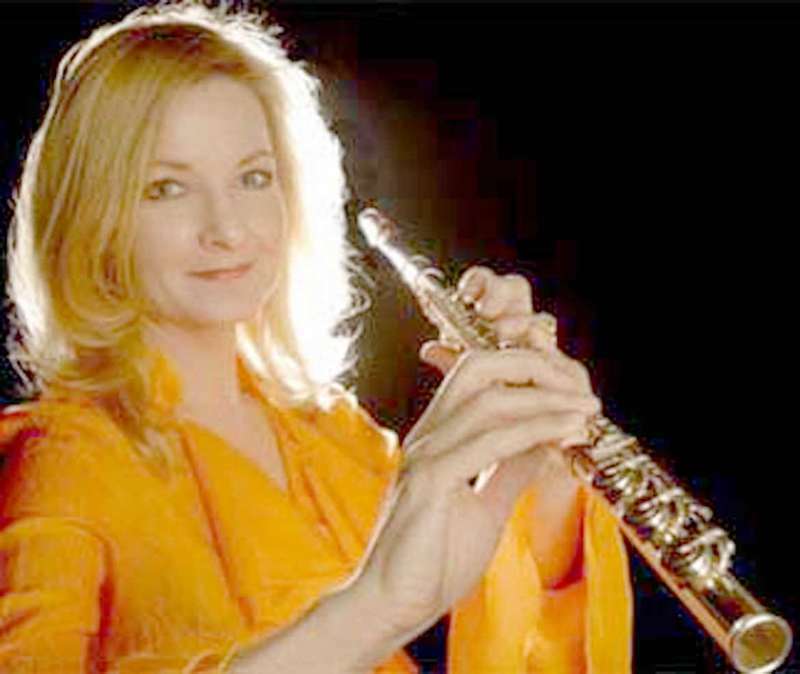 She has played in the Pasadena Woodwind Quintet, Los Angeles Korean Philharmonic and the Birmingham-Bloomfield Symphony. 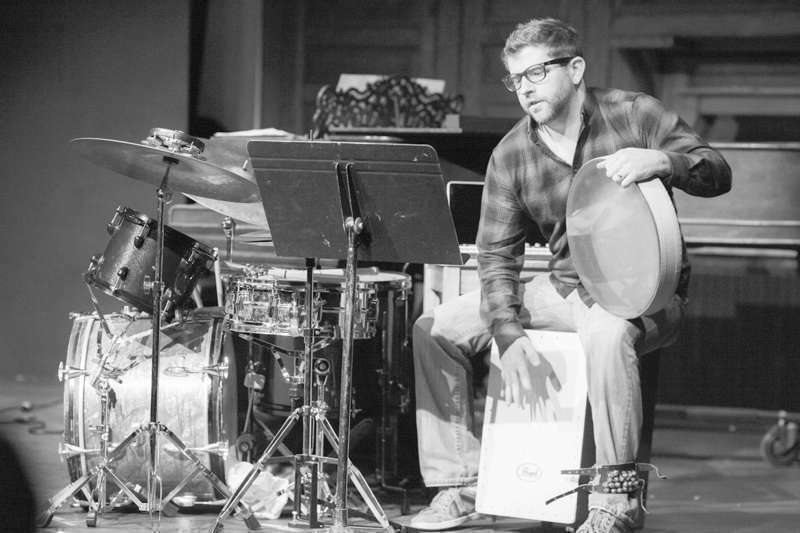 Mr. McIntyre has worked almost continuously as a church musician since the age of 16 and has served parishes in Massachusetts, Vermont, Pennsylvania and New Jersey. He is currently the organist at St. Thomas Episcopal Church in Pittstown, NJ. Washington County has seven road races that have been going continuously for 25 years or more and runners can count on them being the same weekend each year. Running has changed over the years. The times are not as fast and there is not a deep field of runners. There might be a fast runner or two at the head of the pack, but it usually drops off fast after that. In the 1970s and 1980s, the elite runners were all running 100-mile weeks. today very few runners hit the 50 mile limit. 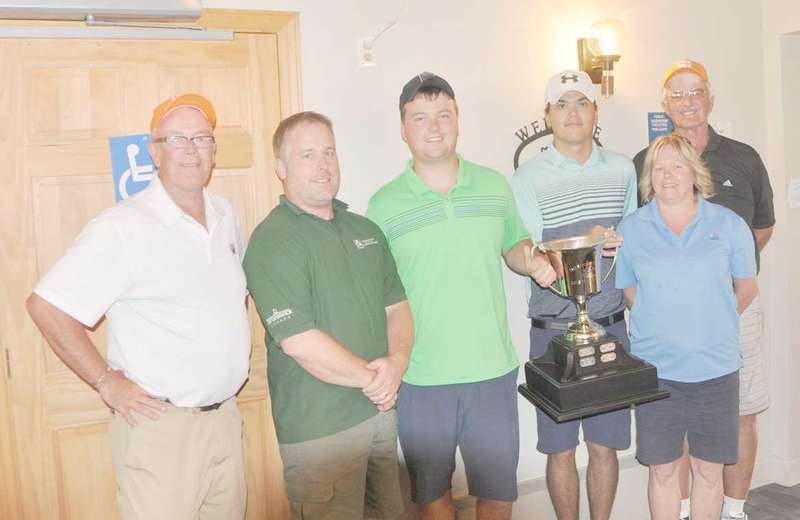 In the 4th Annual Roosevelt Cup, Brendan Allingham and Gordon Kay of St. Stephen were the 2017 champions in the 2-person scramble held at Herring Cove on Saturday, Aug. 4. Machias’ Marshall Healthcare Facility has been recognized as a 2017 Silver – Achievement in Quality Award recipient by the American Health Care Association and National Center for Assisted Living (AHCA/NCAL). The award is the second of three distinctions possible through the AHCA/NCAL National Quality Award Program, which was established in 1996 and spotlights providers across the nation that have demonstrated their commitment to improving quality of care for residents and patients in long term and post-acute care centers and communities. Julian Merrill Ross passed away in Machias on July 24, 2017 with his children by his side. He was 72. Julian was born on June 15, 1945 in Lubec, Maine to Bernard Merrill Ross and Marion Elaine Newman. 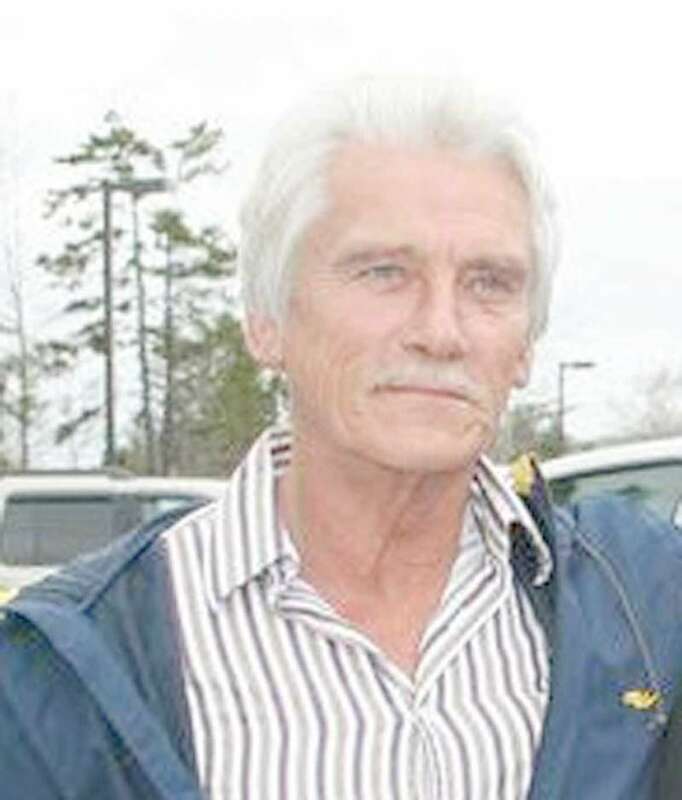 He graduated from Lubec High School in 1963. After high school, Julian joined the United States Army. Julian then owned and operated his own satellite business, Colby Co. Satellite. Later in life he did computer repair on the side. Lovina L. Crowley, 80, left her earthly home to be with her Lord and Savior on July 29, 2017 at the Down East Community Hospital. She was born on Beals, October 1, 1936 the third child of the late Vinal and Kathleen (Alley) Beal . She grew up on Beals Island, where she married her loving husband Philmore on Dec. 16, 1953. 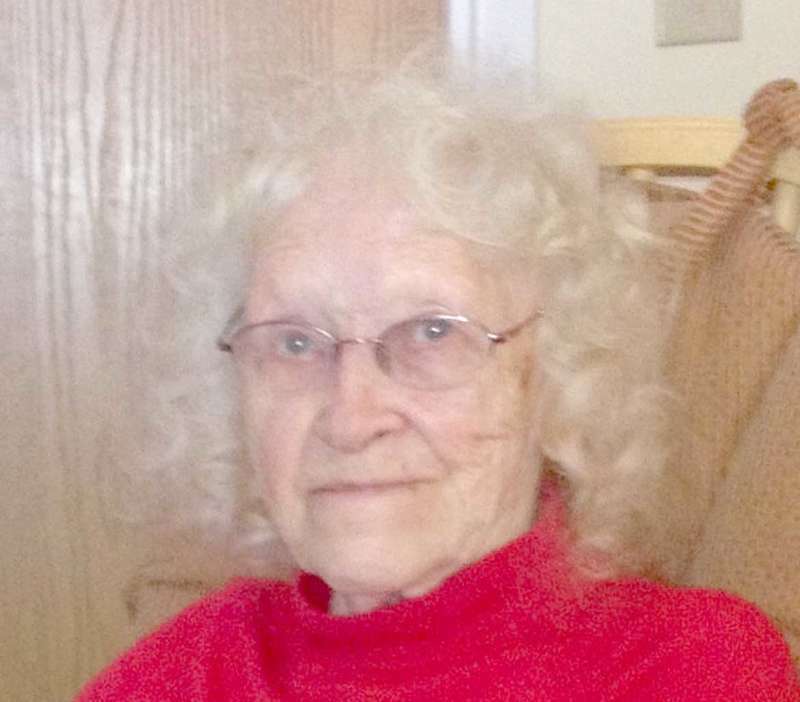 She was a devoted wife and mother, and loved by all who knew her . Larry Worcester Beal, 78, of Milbridge Maine passed away peacefully and quietly at Maine Coast Memorial Hospital on July 28, 2017. Larry was educated in the Milbridge school system and graduated from Milbridge High School. He worked his entire life at a variety of jobs. Two of his favorite jobs were being a lobster fisherman with his dad, and the manager of the International Paper Company wood yard in Cherryfield. Larry was a hard worker, who loved his family, a good story, and a good laugh. He was also a lifelong member of the Harrington Advent Christian Church. 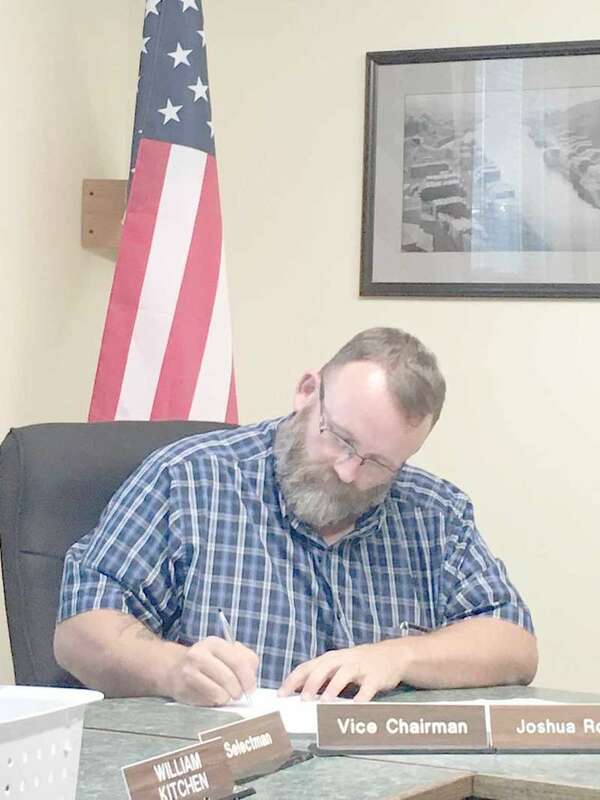 At their August 2 meeting, Jonesport selectmen opened bids on work needed on portions of town towards that had been identified, marked and listed by Jonesport contractor Jim Carver. Old House Point Road he called “one of the worst in town.” Others on the list included Beal and Bluenose Streets, Ice Hill North, Moosabec/View and Ledge Streets and Rockwell Lane. For each, he indicated the type of work needed: ditching, shoulder work, bush hogging and, paving. 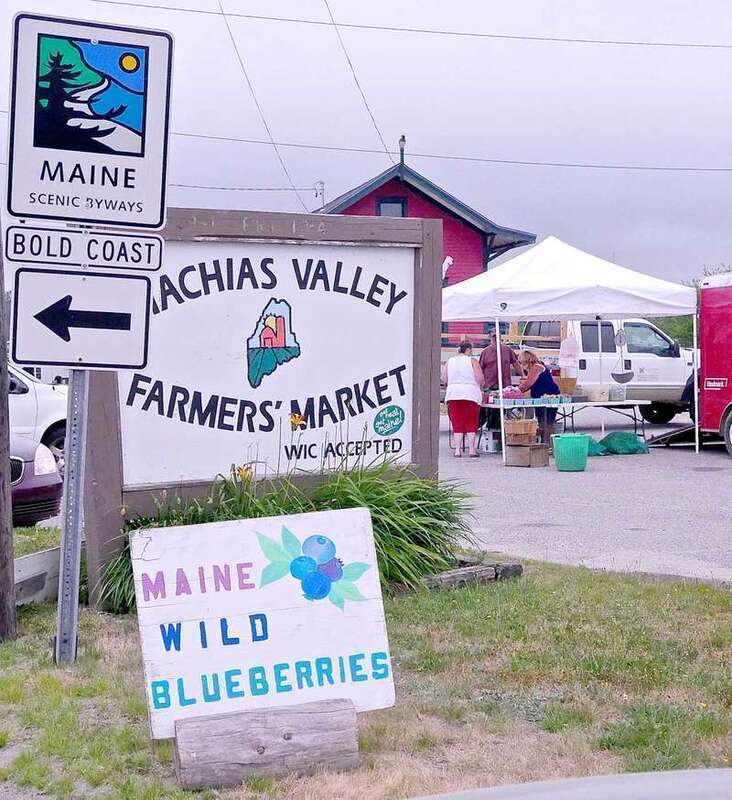 Last year, volunteers at the Machias Wild Blueberry Festival information booth noticed that there were a lot of visitors walking around town on the Friday of festival weekend, a day traditionally thin on activities. So this year, they’ve expanded Friday’s schedule to include a full day of live music and more than 50 vendors who will set up on the green space by Centre Street Congregational Church. On Sunday, August 6, the Cutler Fire Department responded to a call from a hiker along the Bold Coast Trail in Cutler. Cutler Fire Chief Wayne Dennison said that the hiker was approximately three miles down the Bold Coast Trail when she was stung by bees, which she is allergic. 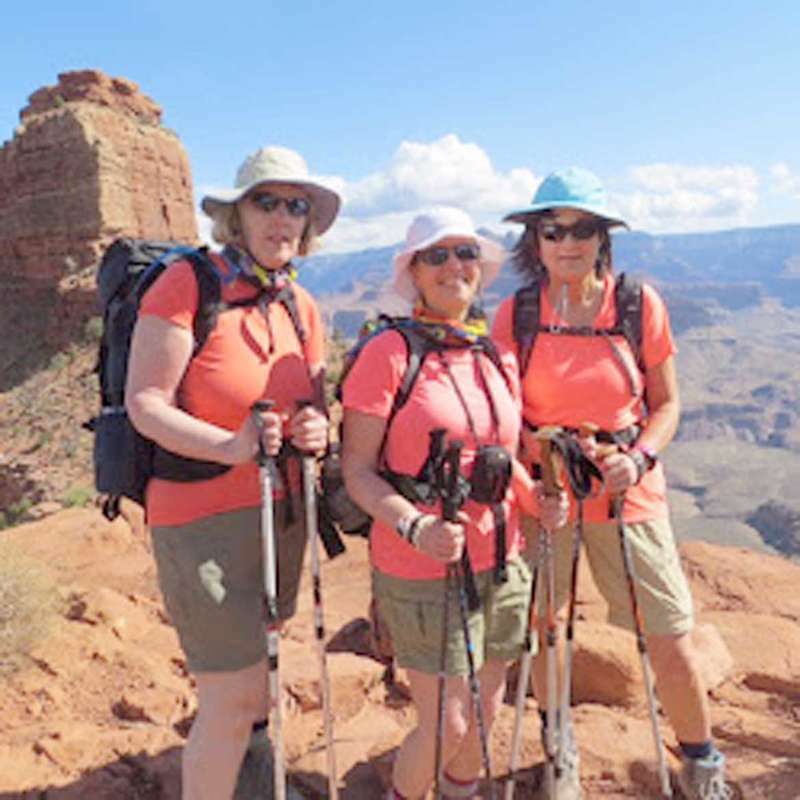 The hiker began to go into anaphylactic shock and called for help. “Before they got to her, she had taken some Benadryl, and didn’t need any help,” said Dennison. Amid a storm of overriding controversy, the 128th session of the Maine Legislature ended last week with the certainty of reconvening to address many of the same issues. 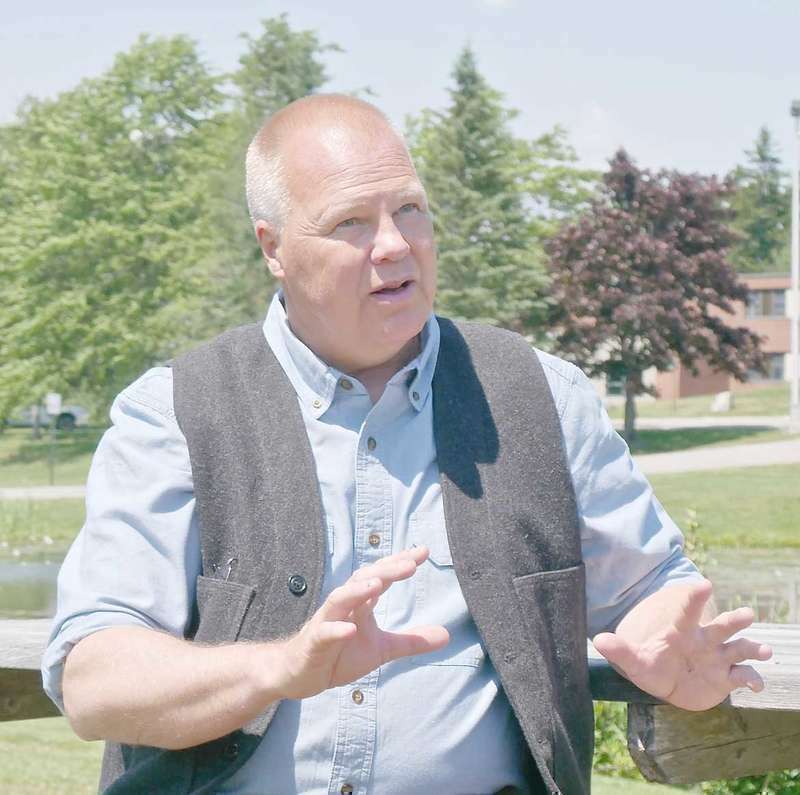 At a public hearing attended by three residents last week, the Machias Selectboard discussed the Machias Local Food and Community Self Governance Ordinance proposed at an earlier meeting in July. The ordinance will be put to a town vote during a special meeting scheduled for Wednesday, Aug. 9. 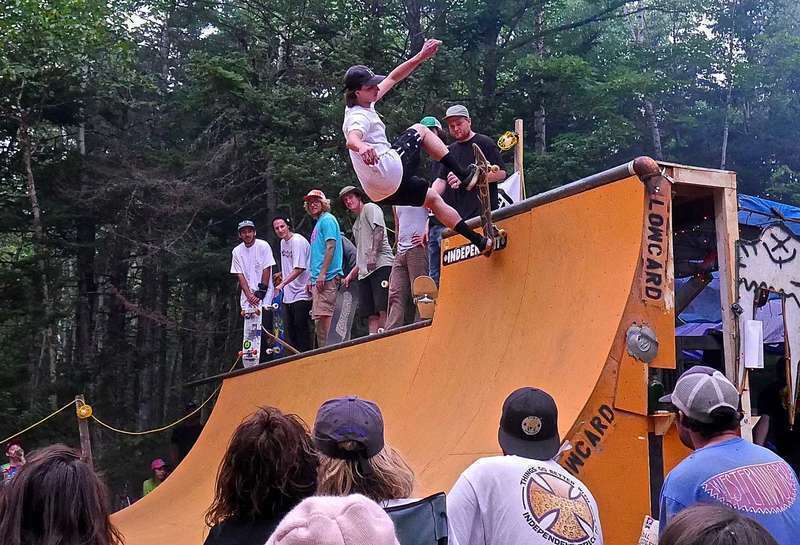 Machias native and San Francisco firefighter and EMT, Rob Collinson, returned home for a few weeks this summer and revived the now mythic ROBSTOCK skate fest in Whitneyville last weekend. Collinson is also the founder and publisher of LOWCARD Magazine, a noted skater publication launched in 2003, which was one of the event’s sponsors. Last Wednesday, the Maine Senate and House of Representatives dealt with over two dozen vetoes from Governor Paul LePage, sent two bond issues and a constitutional amendment back to their policy committees, and set the stage for a return in the fall when another committee charged with implementing the state’s marijuana legalization act completes its work on a bill to implement the new law. 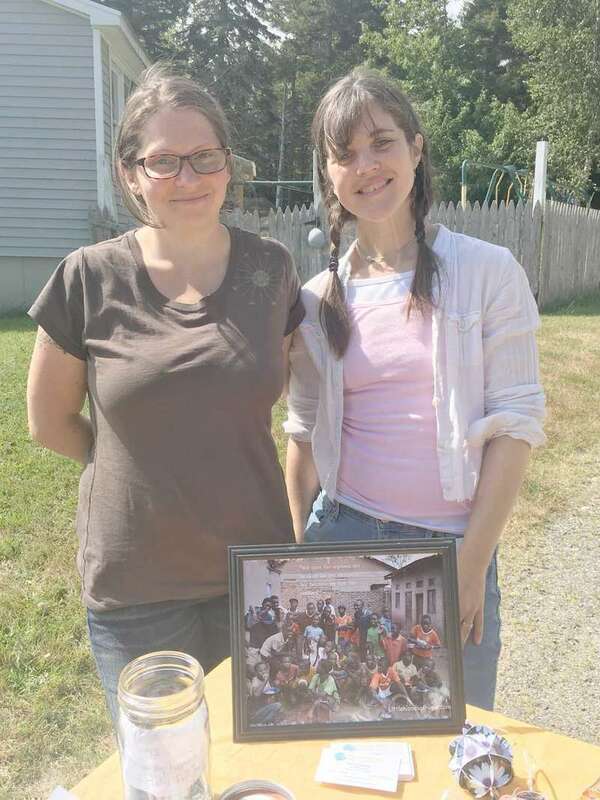 Dianne and Maddy left on July 27 and headed for Watertown, New York. They ran into a lot of construction in New York, so didn’t get to Chris and Carrie’s until after 7 p.m. It was a long day but made it safely. On August 7 at approximately 2:13 p.m. the Washington County Regional Communications Center (RCC) received a 911 call from an off-duty Deputy that had come upon a serious two-vehicle crash on Rt 192 in Northfield in the vicinity of mailbox 1580. The RCC dispatched the Machias ambulance, Machias Fire Department as well as additional Deputies to the scene. Secretary of State Matthew Dunlap is standing by his decision to deny the voter data request of the Presidential Advisory Commission on Election Integrity. Twenty-seven gubernatorial turndowns have slammed into rural Maine, once again causing Mainers to speculate about the rationale that drives this state’s leader. Twenty-seven vetoes saying no to everything from phoning while driving to selling flame-retardant furniture gummed up the wheels of decision-making in Augusta. Many year round residents have a standing rule that they do not leave the state of Maine in August. One look around our area this month, and no one could question their wisdom. Where else could anyone wish to be? Lobster, blueberries, beaches, sunshine (finally), music, great food, author readings, history, hiking... the list goes on. There are dozens of reasons our roads, hotels and pullout couches are brimming with out-of-state visitors right now. 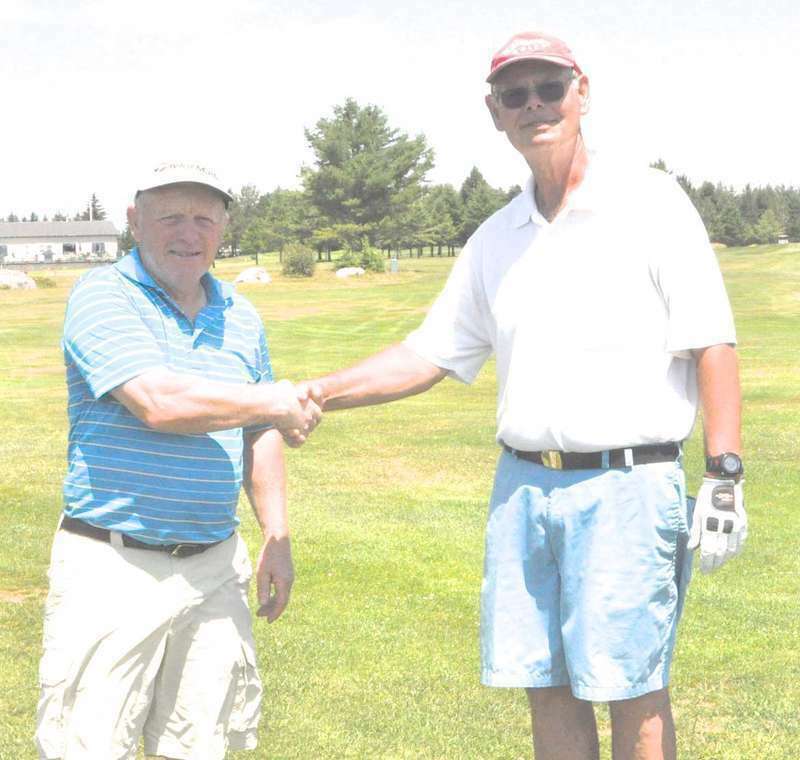 The two-year reign of the Dennysville AA in the Quoddy Baseball League ended at the conclusion of the 1961 season and it was time for another team to step up. The Cutler Cardinals, under Neil Corbett, had fielded teams for years but hadn’t had much success against the likes of Dixie, Jonesboro and Eastport.